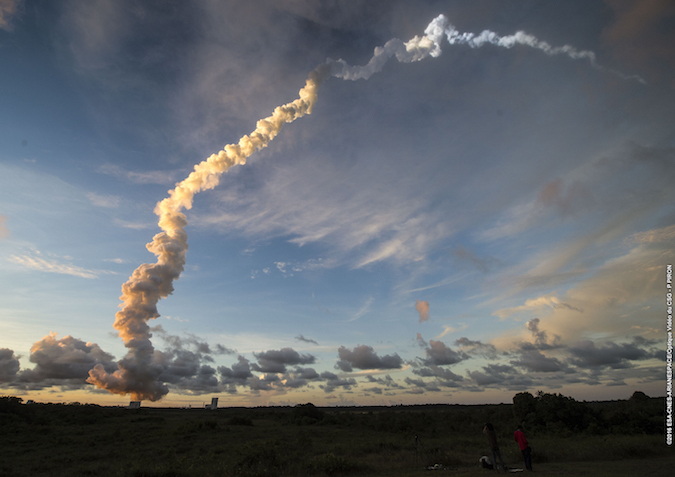 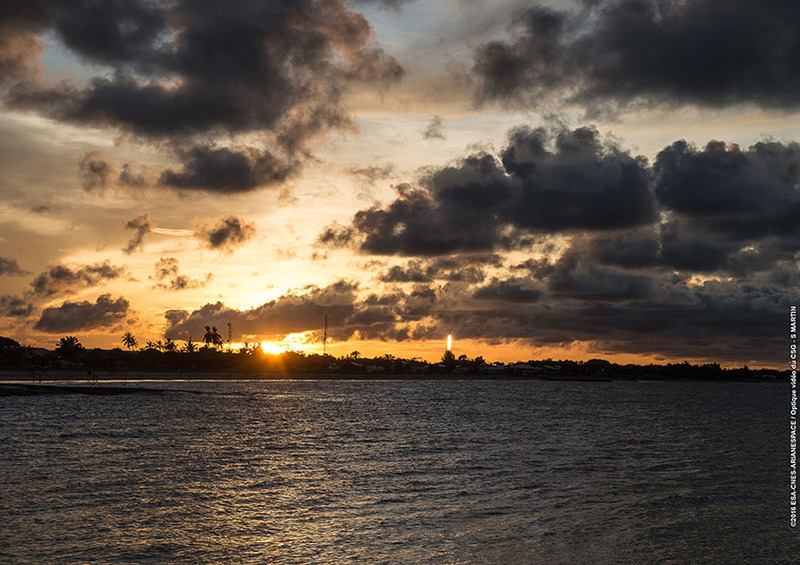 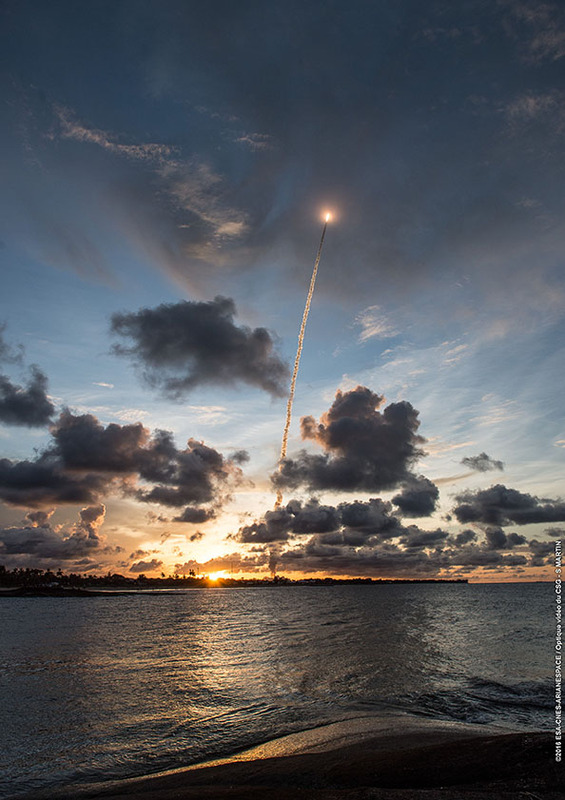 The Ariane 5 rocket’s weekend launch from French Guiana set a weight record and produced stunning imagery as the powerful 180-foot-tall (55-meter) booster soared into space backdropped by the colorful orange hues of sunset on the edge of the Amazon jungle. 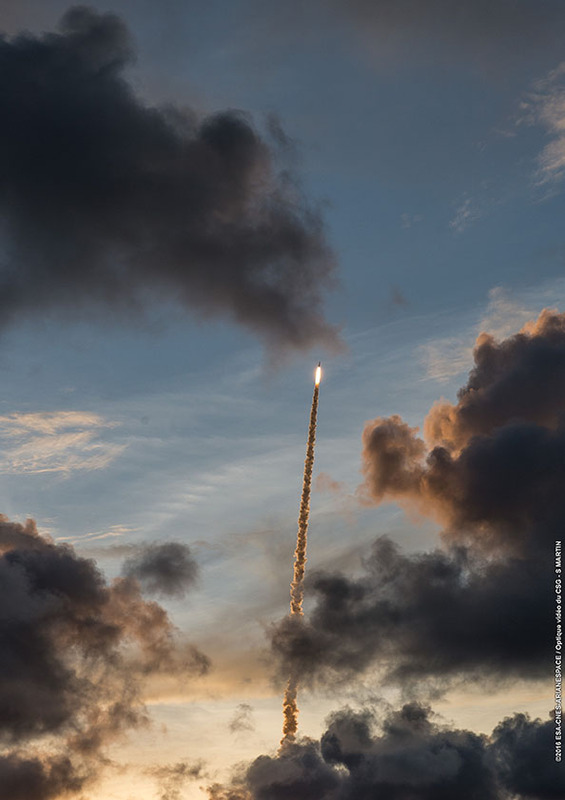 Lifting off a few minutes before sunset Saturday at 6:38 p.m. local time (2138 GMT; 5:38 p.m. EDT), the Ariane 5 climbed through low clouds on top of 2.9 million pounds of thrust from its two solid rocket boosters and hydrogen-burning Vulcain 2 main engine. 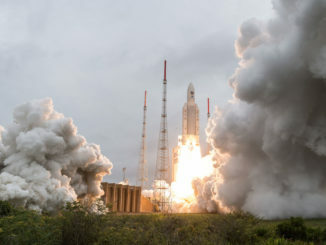 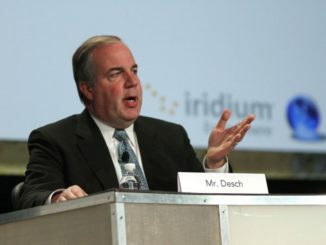 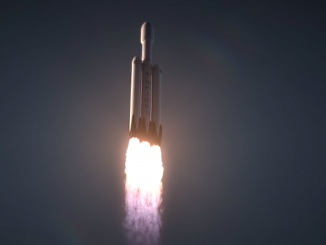 The rocket delivered the EchoStar 18 and BRIsat communications satellites to orbit for Dish Network’s U.S. subscribers and Indonesian banking customers. 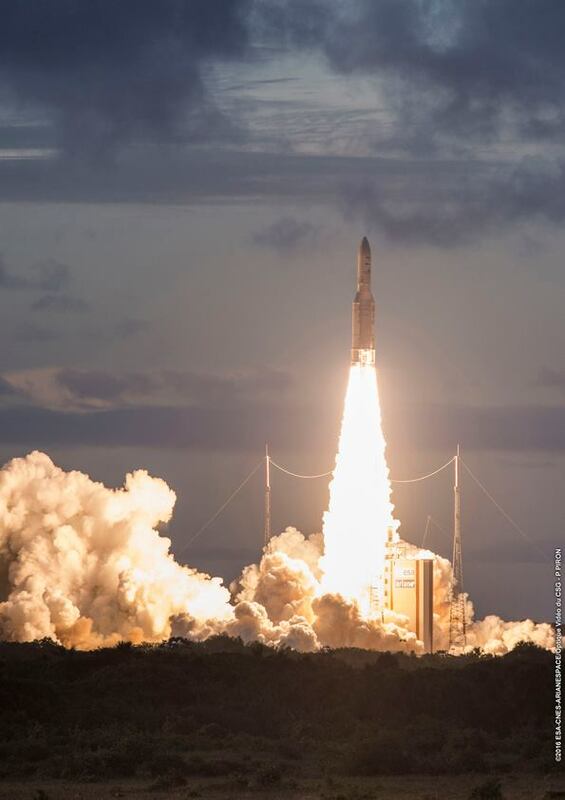 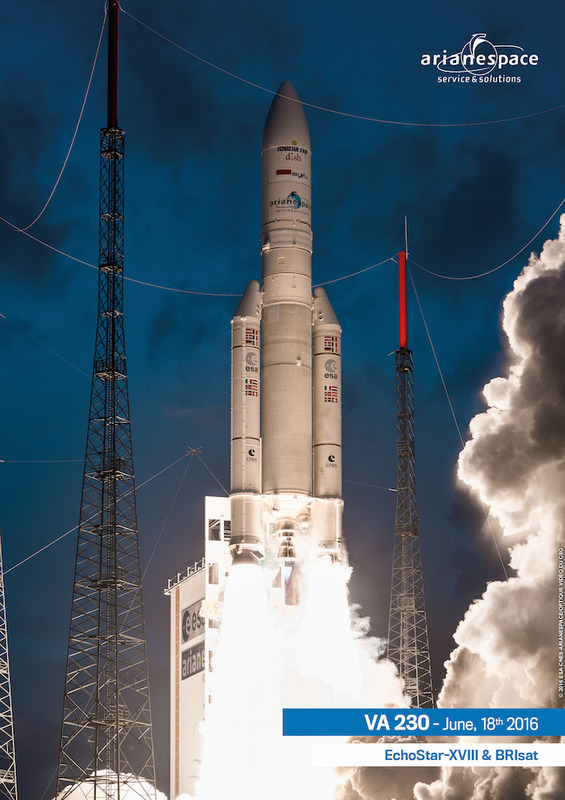 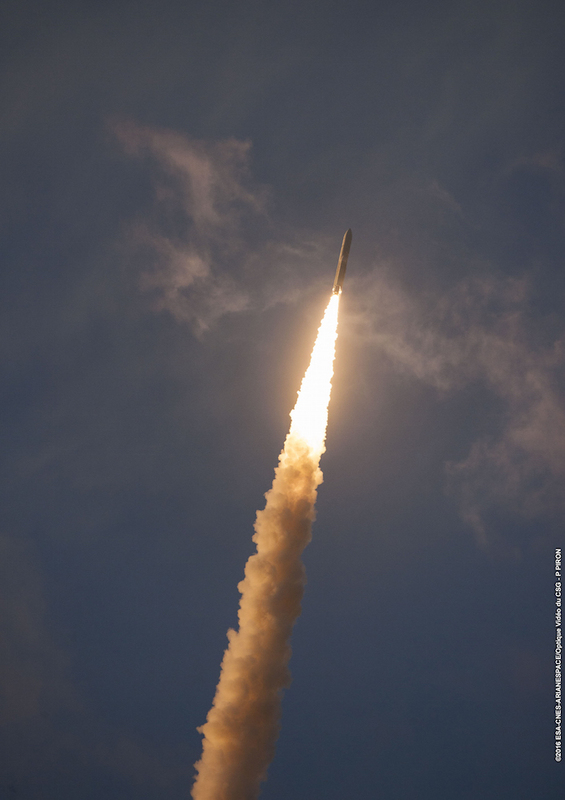 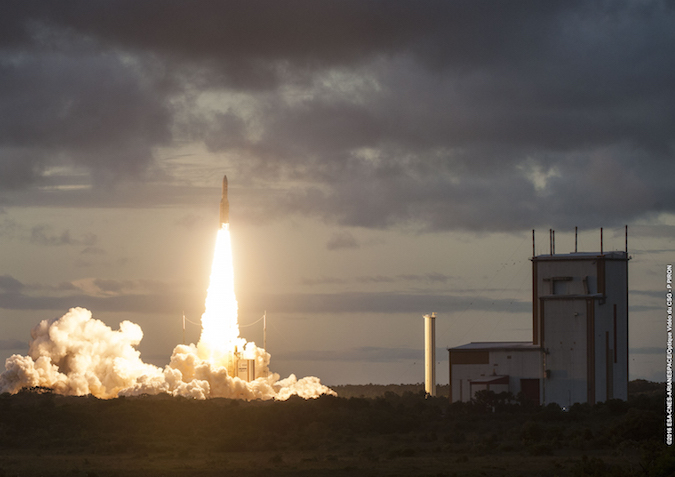 It marked the 86th flight of an Ariane 5 rocket since 1996, and the European-built launcher’s third mission of 2016.